You can connect two or more functions to a shared function. If that shared function is modified, then the linked functions will vary accordingly. In the Timeline view, double-click on the layer that contains the function to share. The Layer Properties window displays. In the Transformation tab, click the Arrow button beside the function you want to share and select Local. The function is shared with the other layers and parameters. Shared functions are visible in the main section of the Xsheet view. From the same menu in which you chose the Bezier option (in our example), select the function you just shared and attach it to your parameter. In the Timeline view, open the Layer Properties editor of the other layer that contains the parameters you want to link to the shared function. In the Layer Properties editor or view, attach the parameter to the shared function the same way you did for the first layer. The two parameters are both linked to the same function curve and follow the same path. 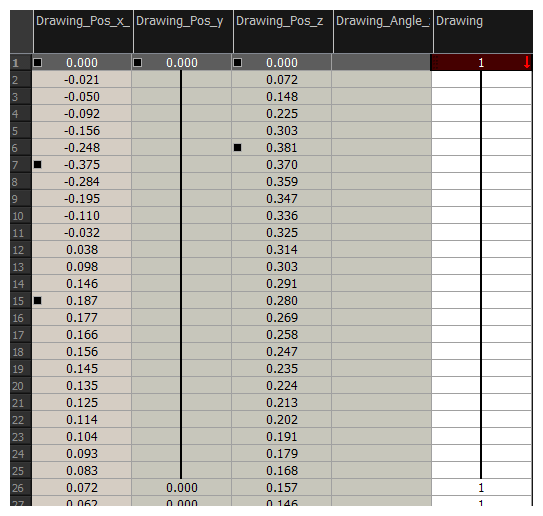 If you modify the curve, both parameters will update.